Chief Executive Officer, Toyota Research Institute, Inc.
Dr. Gill Pratt is the Chief Executive Officer of Toyota Research Institute (TRI) and a Fellow of Toyota Motor Corporation (TMC). Prior to joining TRI as its founding CEO, Dr. Pratt served as an Executive Technical Advisor to Toyota Motor Corporation. TRI's mission is to improve the quality of human life through innovation in artificial intelligence, automated vehicles, and robotics. As TMC Fellow, Dr. Pratt applies his technical expertise to guide TMC's Advanced R&D company in the areas of automated driving and Artificial Intelligence. 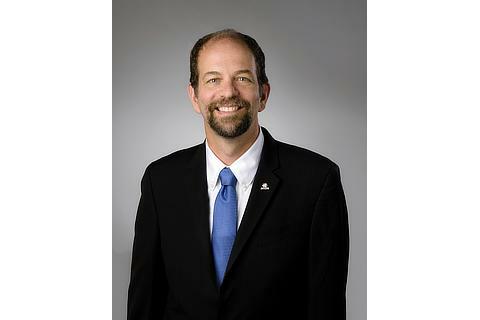 Prior to joining Toyota, Dr. Pratt led the Robotics Challenge of the U.S. Defense Advanced Research Projects Agency (DARPA), where he served as a program manager in the Defense Sciences and Tactical Technology offices from January 2010 through August 2015. Dr. Pratt's primary interest is in the field of robotics and intelligent systems. Specific areas include interfaces that significantly enhance human/machine collaboration, mechanisms and control methods for enhanced mobility and manipulation, low impedance actuators, and the application of neuroscience techniques to robot perception and control. Dr. Pratt is also interested in the impact of Robotics and AI on society. Dr. Pratt holds Doctor of Philosophy, Master of Science, and Bachelor of Science degrees in Electrical Engineering and Computer Science from the Massachusetts Institute of Technology (MIT). His Ph.D. thesis was in the field of spiking computation in natural and artificial neural systems. Dr. Pratt was an Associate Professor and Director of the Leg Lab at MIT. Subsequently, he became a Professor and Associate Dean of Faculty Affairs and Research at Franklin W. Olin College. Dr. Pratt holds several patents in series elastic actuation and adaptive control.